The technological world today is absolutely going towards great advancements with the development of various devices that everyone will find useful daily. More people now invest in owning tablets after discovering its benefits for their daily computing tasks. With all the individuals aiming for this device, manufacturers will certainly come up with more tablets and improving their features for consumers' benefit. 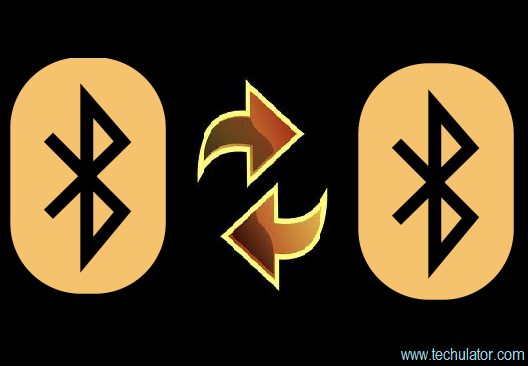 The concept of Bluetooth connectivity was introduced early so it became a feature that the majority of mobile phones possess nowadays. Consumers were elated after discovering a way of transferring media files, contacts, and in cases of phone modems, network connectivity. With its popularity, manufacturers add this feature to tablets widely sold today. Going wireless became a trend so a lot of people love to use Bluetooth-enabled accessories daily. If you have a tablet, you will find the following Bluetooth accessories as among the most modern choices recommended for your device. A headset is the most common accessory you'll find offered in the market. Countless tablet owners also use a Bluetooth headset since it allows them to listen to music minus annoying cords attached to headsets. It provides a more comfortable listening experience whether you'll watch a film while travelling or listening to music. Today, you will now find a lot of headset brands that will work effectively with your tablet. Be sure to pair them properly and you'll experience the best sounds whenever you need it. The good thing about these devices is they come in various designs that will suit your preferences. If you're more into larger devices, you can choose the headsets with conventional designs. For a more stylish and minimalist look, go to Bluetooth Earbud options and achieve the style that you want. Bluetooth headset may have been a known technological advancement when it comes to entertainment. However, this development was brought to a different level with the availability of Bluetooth speakers. It now introduces people to wireless sound experience using their tablets and letting other individuals also enjoy the sounds. According to recent reports, Definitive Technology introduced Sound Cylinder, as its first speaker utilizing Bluetooth technology. The revolutionary speaker was presented in the recently held exhibit at the Las Vegas Convention Center. When it comes to sound quality, the company proudly reported that its integrated subwoofer results to the product's high quality sound every user will enjoy. Aside from its sound quality, Definitive Technology also indicated the availability of a stand that support tablets when docked for entertainment purposes. In fact, it allows users to be in an inclined position, which is suitable for viewing. Made from durable materials, this speaker system is expected to set a good standard for tablets in the market. Tablets already have responsive screens, making it easier for users to navigate necessary apps or going online. Hence, it doesn't require any mouse for navigation unlike regular computers. However, you might be surprised after finding out that mice for tablets are also available in tablets. Modern tablets almost have similar functionality as a netbook so you can use it for document processing or web browsing. Hence, many people wish to use a mouse with their tablets. You can now find Bluetooth mouse like the one manufactured by Logitech, which are designed with top quality materials to assure proper function for users. Just like other Bluetooth devices, you can sync this mouse with your tablet and use it for your daily tasks. Tablets have virtual keyboard functionality that allows owners to type texts without problems. Nevertheless, some individuals want to type just the same as using conventional keyboards. Bluetooth keyboards are now widely available in the market, which can also be synced and make document processing easier than before. Logitech also has Bluetooth keyboards that are sold separately with the mouse and can be purchased online. Other brands also have the same keyboard so you can choose from different options sold in the market. Pairing is the primary procedure to do in using Bluetooth devices with tablets or mobile phones. Once both devices synchronized, your chosen device will start to function properly and use it daily. In some cases, many users fail to pair their devices properly and cause the device to malfunction. Fortunately, tablet manufacturers enhanced Bluetooth technology to guarantee consumers can use both devices accordingly. They include manuals as guides for people who invested on Bluetooth devices so they can follow accordingly. For problems synching these devices, users can call device manufacturers' technical support experts to help them with their needs in using their Bluetooth gadgets. It's crucial for you to find the best devices possible for your tablet. They are your investments so you must purchase those made by the best companies in the market. Shop around for Bluetooth devices by reading the reviews made by customers or reliable review sites online. To save money, you can also shop around to find the most affordable Bluetooth devices online. Many popular companies sell their devices at good prices so you will get top quality products without spending too much money. You can rely on these products and take advantage of Bluetooth technology with your device. Bluetooth devices are now hot items to purchase with your tablets. Now that you know these products, you can start investing in them and promote better use of your tablets.